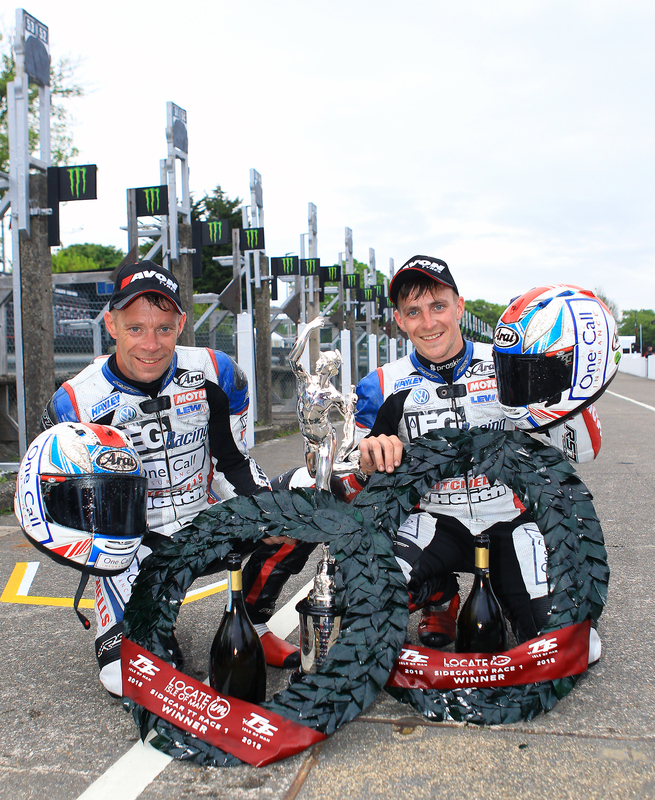 Ben and Tom Birchall have scorched to their seventh win at the Isle of Man TT races with a win in the Locate.im Sidecar TT Race One. 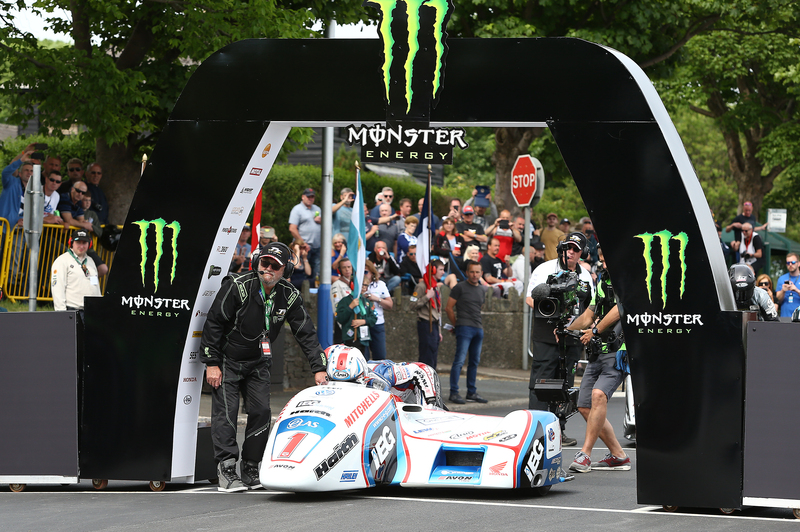 Their performance in the race was absolutely flawless with the Mansfield brothers smashing both lap and race records in near perfect conditions on the Mountain Course. The race started on time but an incident on the first lap caused the red flag to be shown and a full-restart was necessary. With the teams given time to regroup, the starter eventually dropped his flag at 7pm on Saturday evening. Pushing hard straight from the start, the Birchalls had already opened up a gap of 2.1 seconds over the second-placed pairing of John Holden and Lee Cain by Glen Helen, just over nine miles into the course. They continued to pull away from the field opening up a lead of over 13 seconds at the end of lap one and in doing so, broke their own lap record with an average speed of 117.502mph. Lap two continued with Ben and Tom setting a sensational pace, doubling their lead over Holden and Cain to a comfortable 26.1 seconds at the end of the lap. Their average speed over the 37.75-mile second lap increased to a stunning 118.694mph in a time of 19m 04.353s. Posting an average speed of 117.771mph on the third and final lap, the Birchalls continued to increase their lead over the eventual runners-up Holden and Cain. The win is the seventh for the Mansfield-based team and the fourth consecutive victory following their 2016 win and their double a year later in 2017. 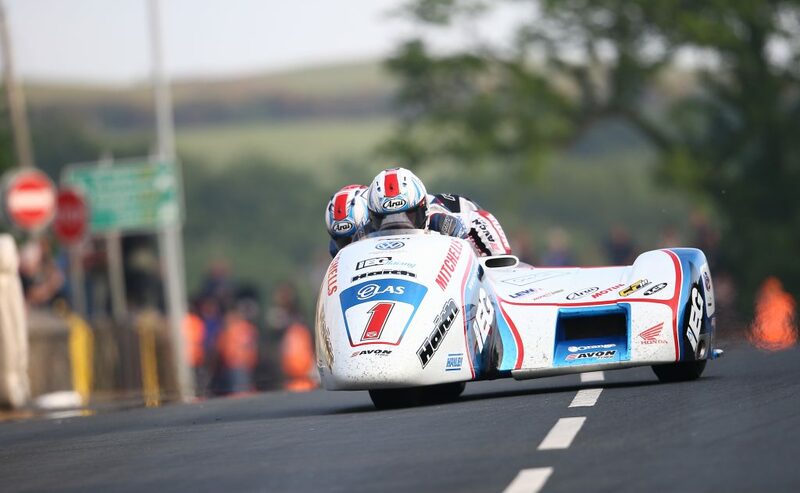 Birchall Racing will now concentrate on the Locate.im Sidecar TT race two, held on Friday June 8 – Senior Race day.